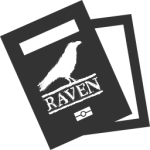 Raven (University of Cambridge) authentication module for passport. This allows you to authenticate students of the University of Cambridge. It works for both current and past students and staff. iact (Boolean) - Set to true to force users to type their username and password even if they are already logged in. Set to false to only login if it can be done without user interaction. Defaults to null. passReqToCallback (Boolean) - If set the request object is provided as the first argument to the verify function. The verify callback can therefore use the state of the request to tailer further handling.